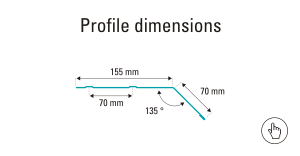 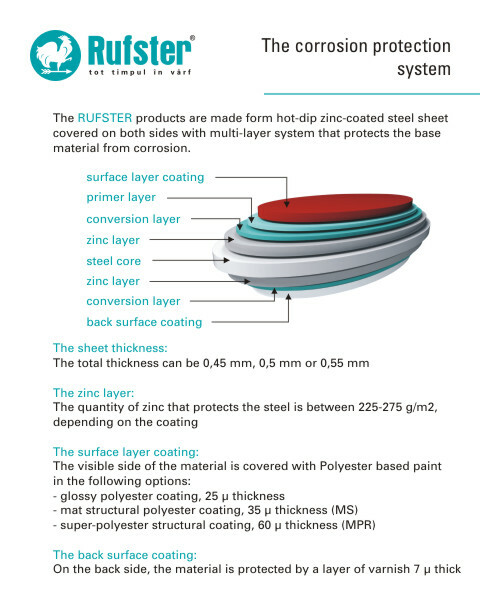 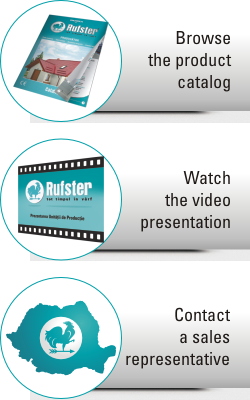 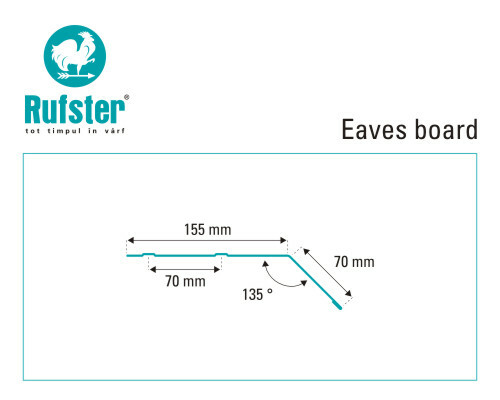 The RUFSTER eaves boards are manufactured on the abkant machines from slitted flat sheets, being made from the same material as the main panels. 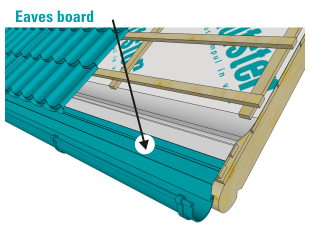 These boards are fixed at the eaves, under the main roofing sheet, making the connection with the gutters. 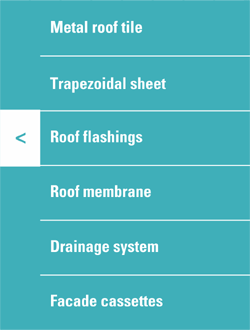 The eaves boards are used to ensure water flow from the roof into the drainage system. 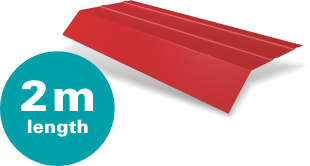 Special foam seal is used to close the space between the sheeting and the eaves board.